Announcing The Brand New Web Animation Workshops! I’m very excited to announce the Web Animation Workshops, a brand new project I’m starting with the super smart Sarah Drasner! To make sure you get as much out of these workshops as possible we’re keeping the the class sizes small. Each workshop is limited to 40 participants and will include hands-on exercises and plenty of time for discussion. This small class size also means that tickets are going to go fast. Get yourself a ticket today and join us for a two day of web animation event. Also, if this sounds like something you’d like to get your whole team in on, we are booking a limited number of customized in-house workshops for 2017. Get in touch with us today to book a custom workshop for your team. 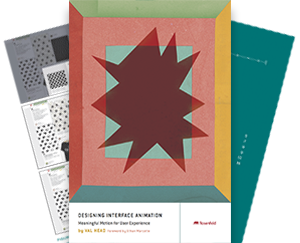 ← Designing Interface Animation is now available!